I love grilling in the summer time especially for family and friends. We had a family dinner over at my in laws so I marinated veggies and chicken thighs. 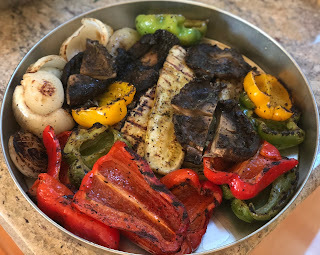 We got the zucchini from Trader Joe’s and everything else from Costco - mixed bell peppers, onions, portabella mushrooms, and boneless skinless chicken thighs. Wash and cut vegetables. Place inside ziploc bag and add marinade. Toss to evenly coat. Add 1/2 c olive oil if not coated well. Same for the chicken thighs. 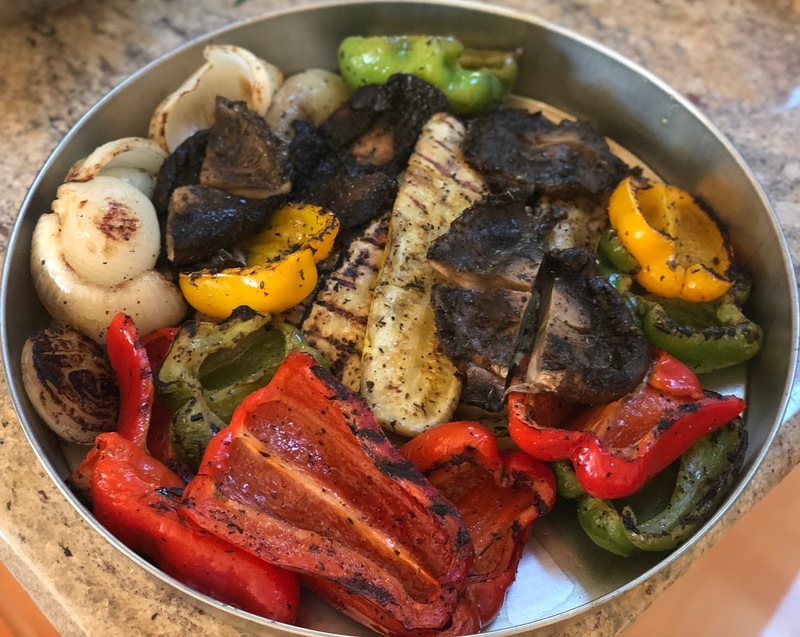 When ready to grill pull out veggies and chicken from the marinade and place on platters. Sprinkle salt and pepper before grilling. Enjoy! Cow Appreciation Day at Chick Fil A!